For more than 20 years, Atlanta Trading Company, Inc. has been driven with providing our clients with unmatched quality and outstanding service. At ATC, we know what it takes to keep our clients satisfied and coming back, and each and every employee understands that mission. Our commitment to these goals guarantee the best level of service that anyone can provide. 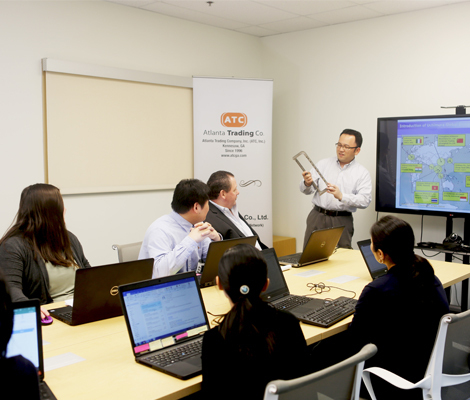 See for yourself what sets ATC apart from the rest. Atlanta Trading Company, Inc., US subsidiary of Uchimura Group (Osaka Japan), is an international procurement company headquartered near Atlanta, GA. We utilize a network of well-established affiliates located in major manufacturing centers around the world but still make every effort to give you a personal feel. 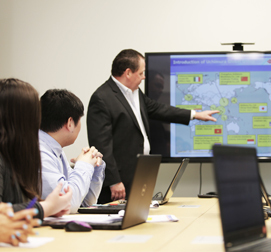 Serving a wide range of customers in the United States from a number of different industries, ATC provides big savings, quick lead-times, and quality sourced products. We are dedicated to serve you with the utmost quality and value.In addition, we offer free consultations to improve your products, as well as propose any new items with better price based on your design or specifications. Our staff is highly skilled, with many years of experience, and we really care about your business. Our goal is your total satisfaction of our services; whether it’s our quick, quality, and friendly customer service, or the honesty and value we bring to every interaction, our customers really do love us. Give us a call today and let us help you to expand your business.